Five A Morris has been awarded a 4 star rating in the Bed and Breakfast category by Tourism Grading Council South Africa. 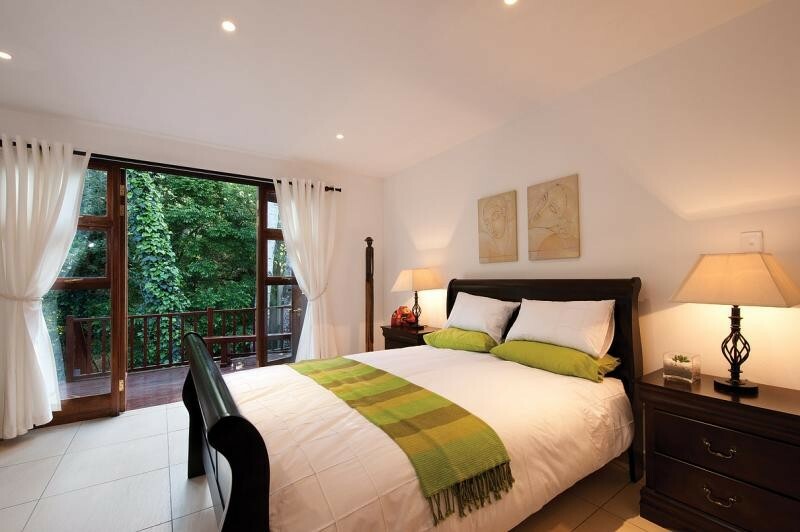 Five A Morris is situated on the Sandspruit River in the secluded suburb of Woodmead, Sandton. 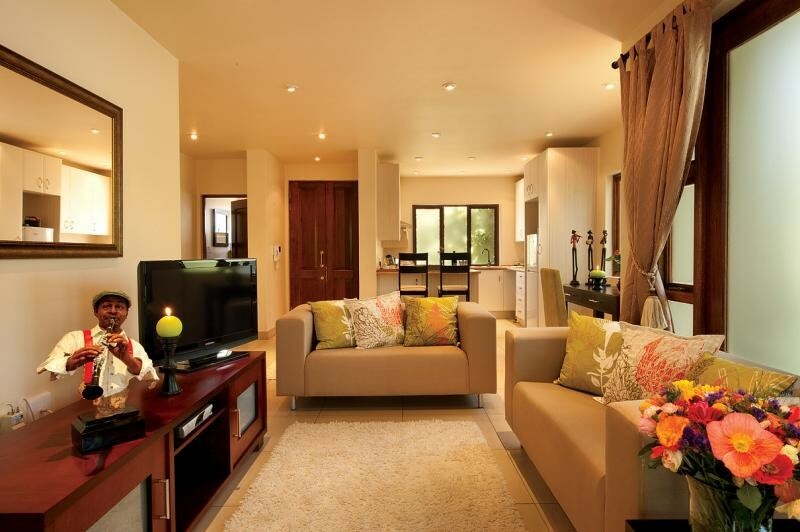 Enjoy the tranquil surroundings and ultimate convenience, with easy highway access to the Western Bypass and Pretoria Highway. Business parks in Woodmead, Sunninghill, Sandton and Rivonia, as well as Midrand are within easy driving distance. 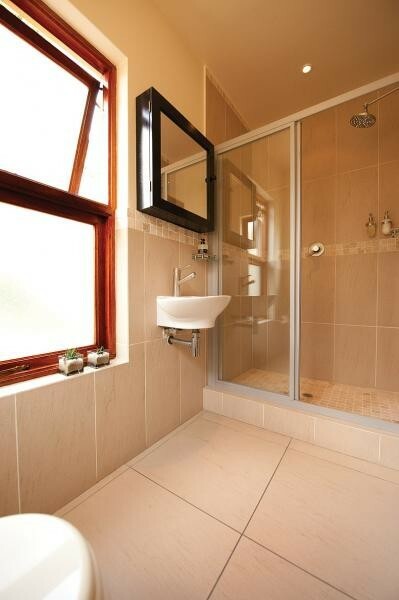 Sunninghill Hospital, shopping, fitness and numerous entertainment centers mere minutes away. 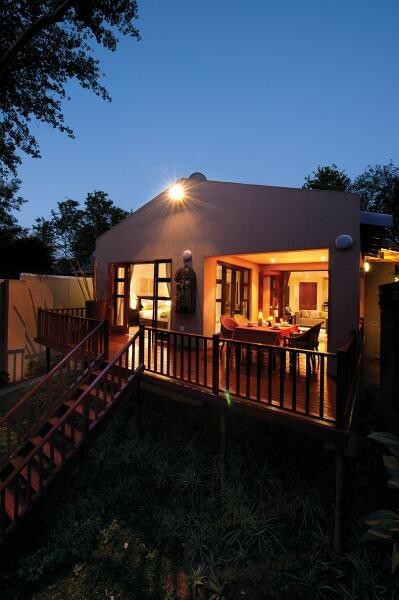 Guests have a choice between the Garden Cottage, Executive, Superior or Standard Suites and our Overnighter room, as well as our Hippo and Crocodile Rooms which overlook the river. The Garden Cottage comprises two inviting bedrooms , two bathrooms, a kitchen equipped with fridge, microwave, stove, crockery and cutlery making it suitable for self cater and long term stays. The large lounge and dining area open through French doors onto the lovely garden and in the garden, under the shade of a large tree is an outside eating area. Full DSTV and unlimited Wi-Fi connection. 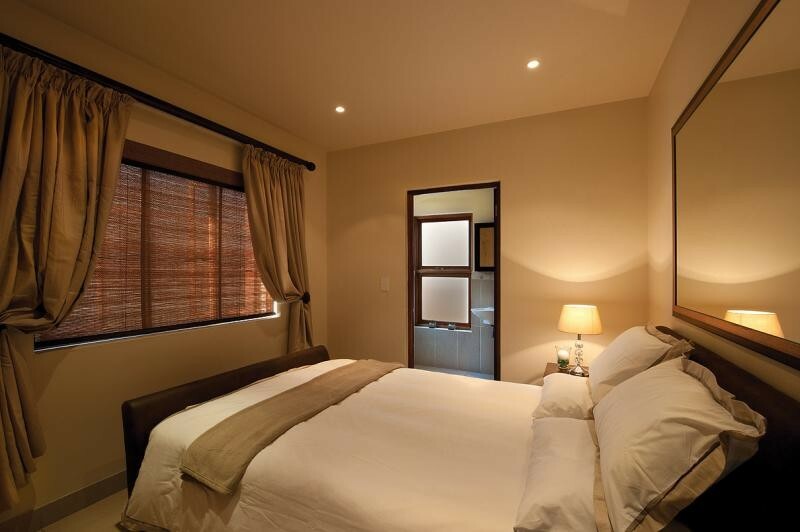 The Executive Suite offers spacious accommodation with a queen size bed, shower room, large living/dining area with full DSTV and unlimited Wi-Fi connection. Superior Suite also has spacious accommodation with a queen size four poster bed, a full bathroom with spa bath and shower. 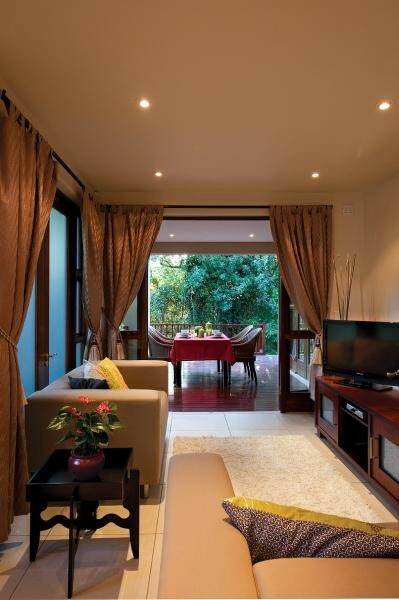 There is a large living/dining area with full DSTV and unlimited Wi-Fi connection and floor to ceiling windows looking out onto the garden. Our Standard Suites have double XL bed, shower room, lounge area with full DSTV and unlimited Wi-Fi connection. The Overnighter room is ideal for one night stays at really good rates. 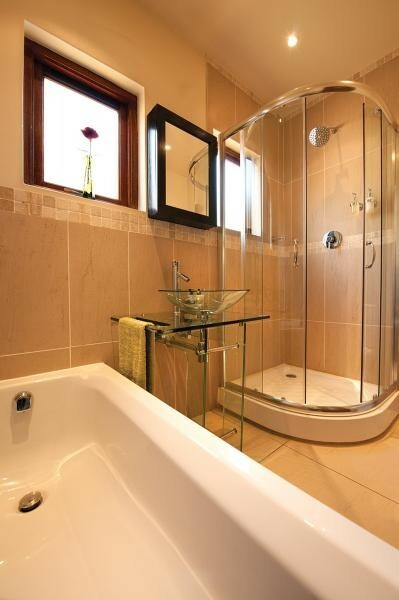 Double bed and shower room en suite. Full DSTV and Wi-Fi connection. 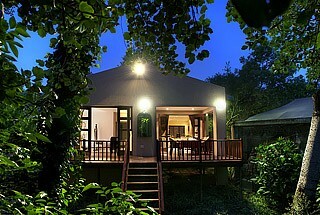 Hippo and Crocodile Rooms are situated away from the main house and overlook the river. They have queen size beds, shower room en suite, desk and lounge area . There is also a fridge and microwave in the room. 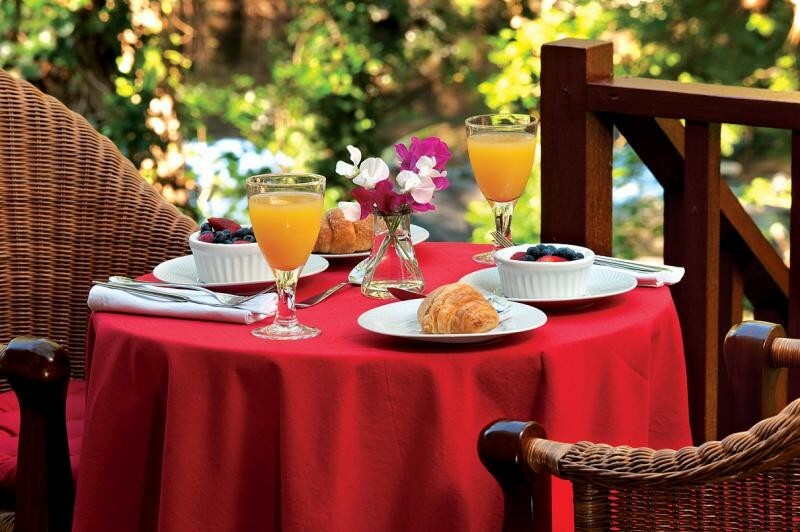 Breakfast can be taken either in the dining room, outside next to the pool or in the gardens. Parking is safe and secure behind remote control gates.